The Nipawin Evergreen Centre & Evergreen Golf Club boasts a six sheet curling rink with a 500 person capacity hall. There are also meeting rooms, catering service, lounge and coffee shop. There are 18 holes of green grass, a driving range and a practice putting green all situated on Evergreen Golf Club, one of Canada’s top public courses. A Perfect Place to Host Functions and Events The Evergreen Convention Centre in Nipawin, invites you to experience our first-class conference centre facility. We host many corporate events/corporate functions, providing ample conference centre meeting space for meetings of all sizes. 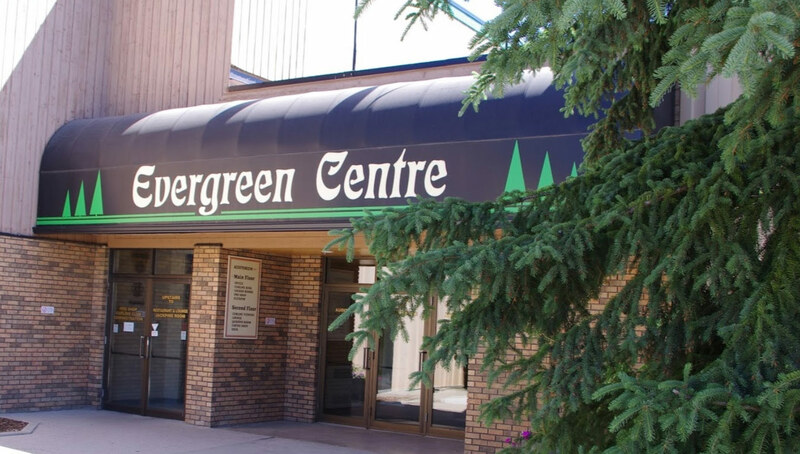 Located just a short drive from Regina, Saskatoon, and Prince Albert, the Evergreen Convention Centre puts you at the centre of a world of business and relaxation. We work to understand the unique needs of each of our clients and their guests. Whether you are hosting Fundraiser Galas, Charity Events, Trade shows, Sales Meetings, Training Seminars, Product Launches, Corporate Christmas Party and Road Shows, we take it one corporate event at a time. You’ll get all the knowledge and expertise we have to make your conference meeting successful. We pride ourselves on the reputation we’ve earned for consistently providing our clients with memorable experiences that meets all their needs all the while providing exceptional food, facilities and customer service – all delivered on time and on budget. Our professional, attentive corporate event planners will work with you every step of the way to ensure the success of your corporate functions. There is an excellent restaurant at the Evergreen Centre and full-service on-site catering. A true diamond in the rough renowned for its breathtaking beauty, The Evergreen Golf Course is a captivating and challenging 18 hole course set in the center of Saskatchewan’s Twin Lakes Tourism Destination Area. This par 72 Saskatchewan championship golf course offers the perfect golf vacation for amateurs and professionals alike with a variety of golf packages available. From being catered to by our professional golf service team directed by our PGA of Canada Head Golf Professional, Derrick Tallon, to our fully equipped pro shop, you will be ready to hit the links. Picture a lesson from our PGA professional to work on your swing on our spacious driving range or to perfect your touch on our lush practice putting green to enhance your spectacular golf experience. With just about every major curling event being played on skating rinks across the country we have to ask, "When have your curled in a world class curling facility that is designed for just curling?" Be prepared to have your curling experience exceed your expectations with the exact mixture of tradition, keen ice, and a venue for socializing that makes curling a unique sport of all ages. Isn’t it time to come on out and try curling again for the first time.